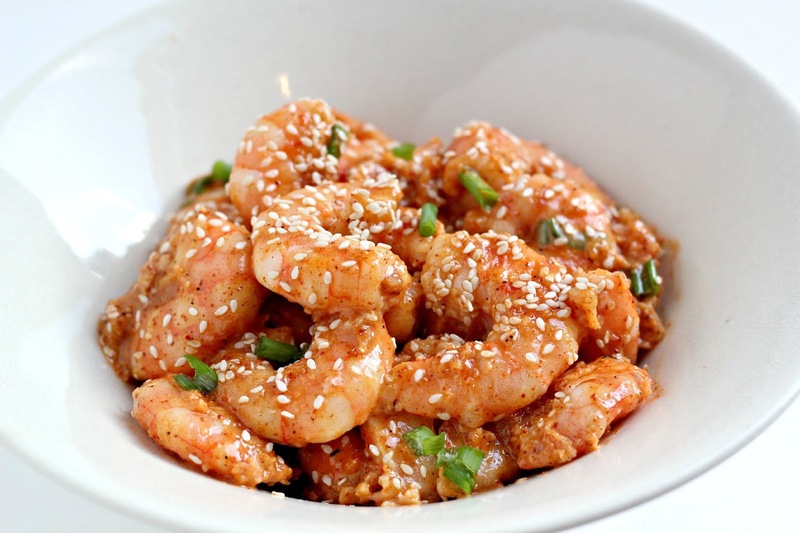 On the first day of Christmas, my true love gave to me, Paleo Bam Bam Shrimp. For the next 12 days, in celebration of Christmas (my favorite holiday), I am giving away a new cookbook everyday on Instagram. To enter the giveaway go to my Instagram, and 1) Tag up to 20 friends 2) For each friend that is also following @bravoforpaleo , you will receive 1 entry. So the more you tag, the better chance you have to win a cookbook! The winners will be announced Christmas Eve. When my food blogger friends recommend a cookbook, then I know it will be great. Paleo Takeout by Russ Crandall, is REALLY really great. It ranges from your favorite Chinese takeout, to traditional Burgers and Pizza, but every recipe is mouth-watering and unique. Which is hard to create when there are new cookbooks coming out left and right. One of my favorite features of the cookbook is a section that tells you how long each recipe will take. Of course I went to the 30 minutes or less section, and I found this Bam Bam Shrimp. In Louisiana, we get a lot of fresh seafood, so we buy shrimp in bulk when they’re in season and we freeze them in about 2 pound portions. So to make this dish, I threw my shrimp in the fridge to defrost, and then peeled them before cooking them in the wok. The only note I have on the recipe is that I had to use 2 egg whites, per 1/4 cup tapioca. I don’t know if it was because my tapioca thickened too quickly, or if it was because my eggs were smaller than usual. Other than that, that sauce was BAM BAM. And I will 100 percent make this recipe again. In a wok or skillet, heat the lard over medium-high heat until shimmering, about 5 minutes. As it warms, whip the egg white until frothy, then add the starch and salt and stir to combine into a batter. 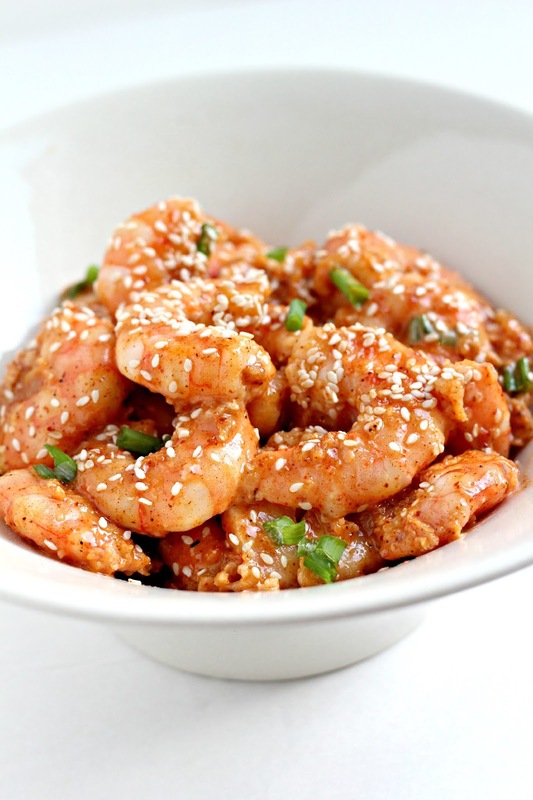 Toss the shrimp in the batter to coat. Add the coated shrimp to the wok in batches and fry until golden brown, about 5 minutes per batch, then place on paper towels to drain. 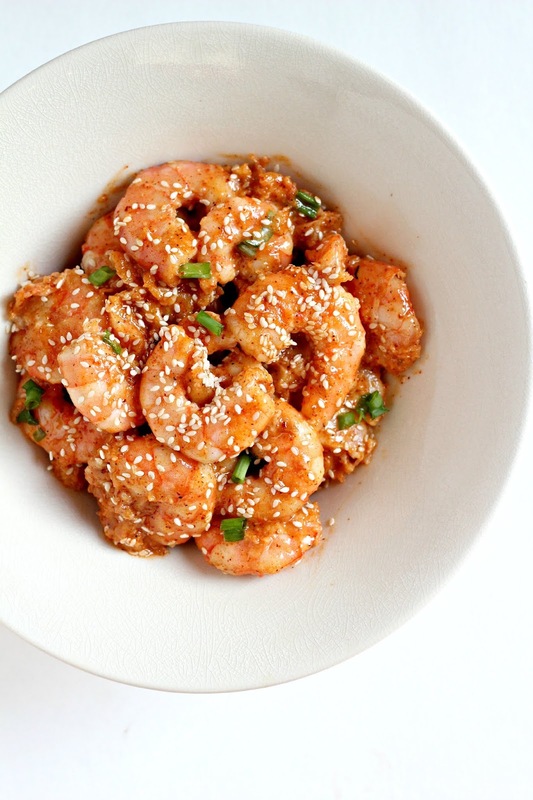 Toss the shrimp with the sauce and green onions, then garnish with sesame seeds and serve.